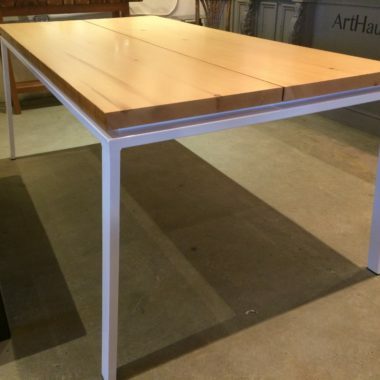 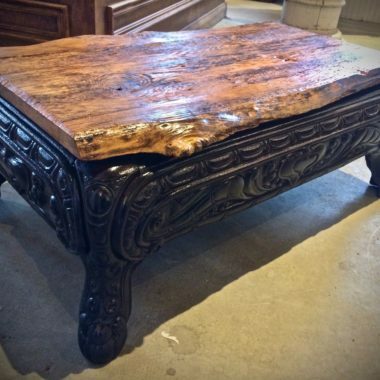 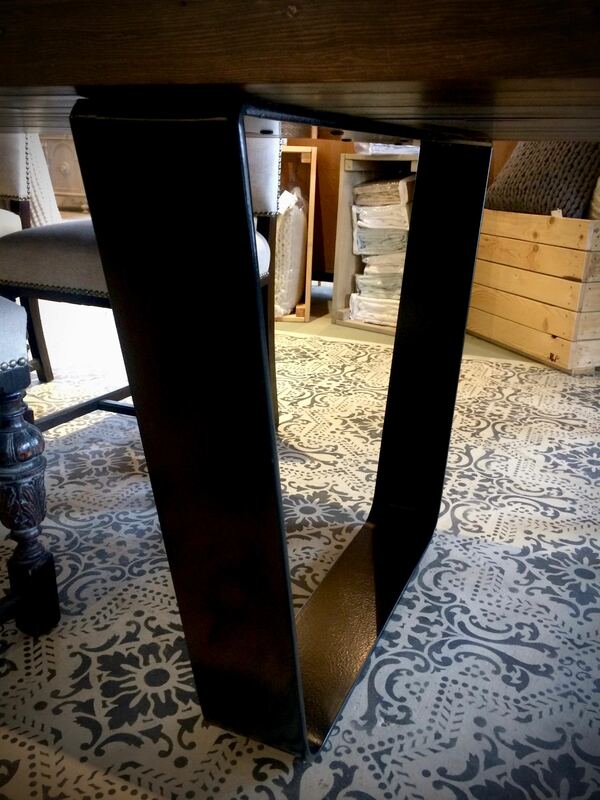 This table was handcrafted by a very talented local artisan/furniture maker. 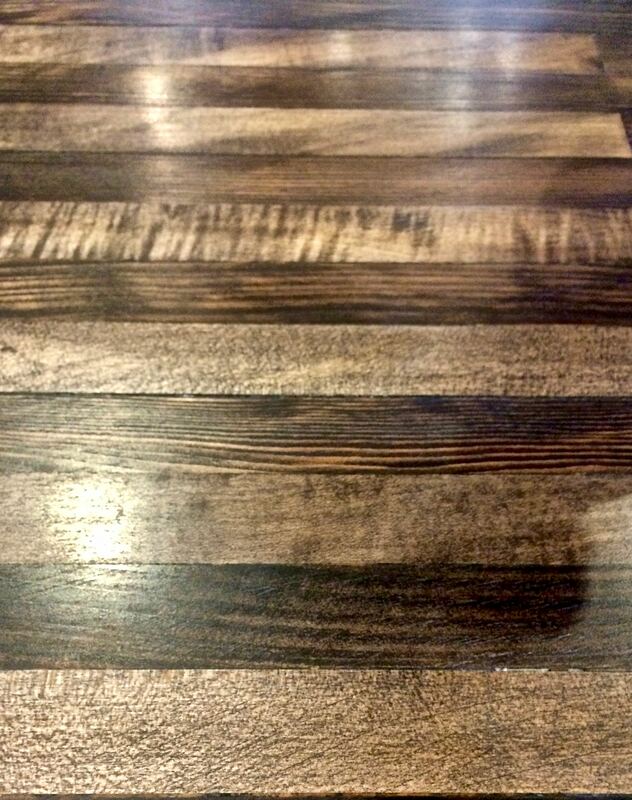 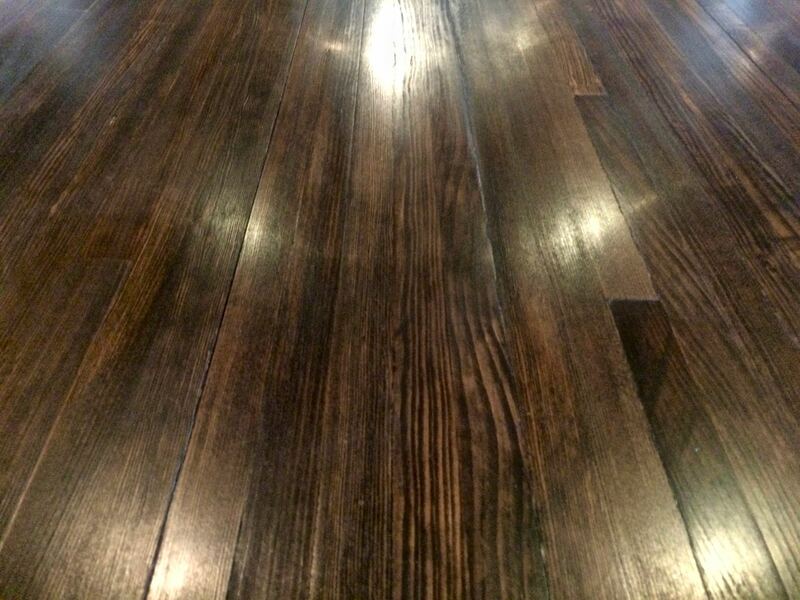 The top is manufactured from remnants of bowling alley floor which is solid maple. 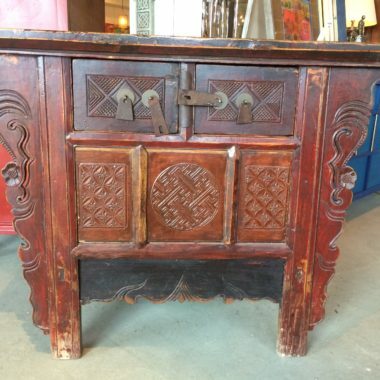 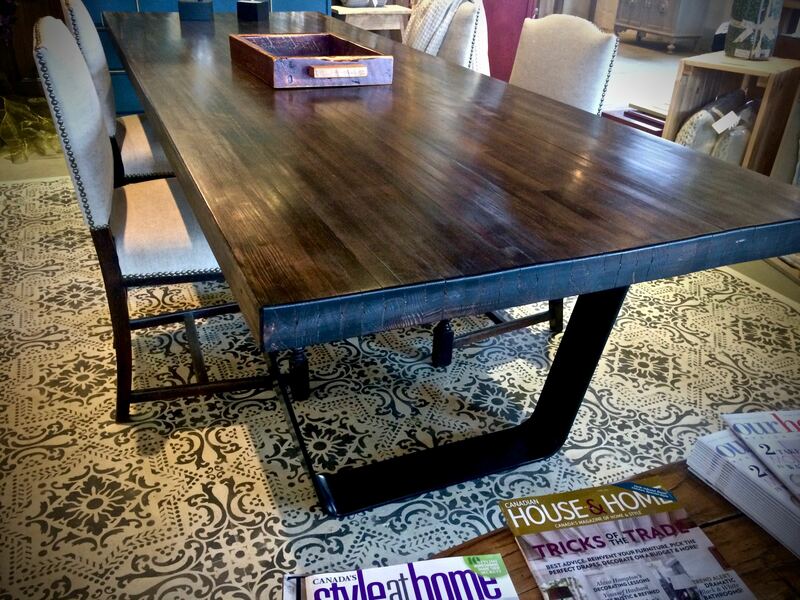 This table would be the centrepiece of any dining room or large eat-in kitchen.